I can hardly believe 2012 is nearly over! Time for a year in review via Instagram photos. I have tried to take at least one photo a week but that didn't quite work out (I would fail miserably at the 365 day project) but even with a few gaps, its still nice to remind myself where this year went. I highly recommend it. I've been pretty exhausted these last few days but I'm trying to clean up the mess that is my house right now so it won't be such a disaster. I'm pretty good at trashing things I don't need but I struggle the most with crafty supplies - always thinking "I could use that one day". Do you have a rule of how long you keep supplies before admitting its probably not going to happen? Or do you save stuff for someday far away? Happy New Year to one of my favorite bloggers!  What a great year it's been here at Brooklyn Limestone. I'm so tired as well - what a busy month! I tend to keep supplies for creating & when I DO throw them out, I regret it later. Ha ha. I definitely suffer from, "I'm sure I'll need this one day" syndrome when it comes to craft supplies. I've just learned to become really well organized so I can keep track of the things I have. Oh~ How did you do that? The pedicure photo in November with the light effect (bokeh). Awesome! I feel that the basics of renovations in Wilton, CT, are not how they appear. Thanks for sharing this information. I knew it would be helpful to my cause. I'm pretty good at purging stuff for thrift, except when it comes to my art supplies. There I have trouble. That said, I'm staring to purge pretty heavily there as well. I've gotten to the point in my life where I know what I will and will not do, and also that I can't do it all. There are those things that I'll never get around to doing, even with the best of intentions. For me, there's little point in the supplies taking up valuable space. I no longer have the patience for the clutter. I guess for me, that's the bottom line. I come from a long line of sewing and craft supply hoarders whose "sewing rooms" I have never seen an equal! Because of this there are things I keep like 3 glue guns (who knows!) regardless but others I do my best to use once or twice before donating or giving away. What really helped me was coming to terms with the fact that unlike the women before me I don't sew, so, three large boxes of new fabric that had been given to me I donated to a church group making quilts for a cause. Hi, my name is Kim, and I am a hoarder of all things crafty! Can't.Throw.Anything.Away. Taking one picture a week is a pretty great idea actually. Much more manageable than a 365. Perhaps I'll aim for that this year. I think someone went into labor. Love the pictures! I'm sure you'll have no problem taking more pictures this year with the little one!